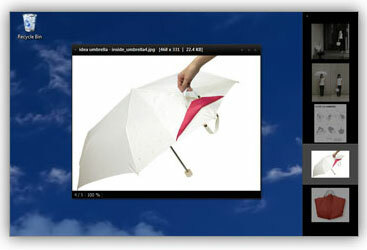 NexusImage is a Free Image Viewer created by JungHoon Noh (xiles). This Portable Image Viewer can be used to display JPEG, Bitmap, GIF, PNG, TIFF, ICO, WMF, and EMF image formats. The selected image appears in the preview window (along with directory name, image size and capacity). The side panel displays all additional images available from the current directory.